The Kawasaki Z1000 is a terrific looking motorcycle. I saw it in the flesh first at the 2013 Tokyo Motor Show and I couldn't tear my eyes off it despite it being in the most uninspiring of colours - grey. The new design language, with the twin LED head lamps, the bikini fairing which suggests a nasty, evil thing with eyes staring in total ill-intentioned concentration is extremely striking and very hard to look away from. And you should look away, because the rest of the motorcycle is also a good, distinctive design, from Kawasaki's typically unique exhaust designs to the massive tank and minimal bodywork. The Kawasaki grabs your attention and forces you to image what it might be like to ride. I can tell you that it feels almost as evil to ride but there is a proviso. In Europe, or on smooth roads, the Z1000 is a wonderful motorcycle to pilot. It weighs a full 10kg less than the Z800 or the Ninja 1000 and gets a sharper steering as well as a smaller wheelbase. This gives it instant responses. 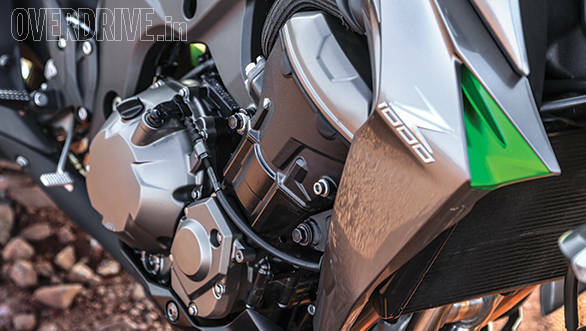 Every steering input leads to an immediate change of direction that makes the Z1000 very involving, very quick on its feet and extremely enjoyable. The Z reacts to everything, and we usually have a lot going on on our roads. However, on our roads, the immediate responses are not really an asset. Because the Z reacts to everything, and we usually have a lot going on on our roads. So bad surfaces affect it, overbanding affects it, any hesitation in steering or throttle work shows up and hit a relative small bump and you'll feel air between the seat of your pants and that lovely Z-motif-ed seat too. In the picture, always, is a lovely intake roar from that 1043cc, 142PS engine. The engine does feel a bit undergeared in the higher gears but it bestows upon the Z1000 an enviable swell of torque that is always on, always willing to get a move on. In India, this doesn't always mean stunning acceleration. It means the Z1000 will spin up, lift a wheel over a crest. As intense experiences go, the Z1000 is a 9 on a scale of 10 when you're trying to ride hard and fast on what might be called a good road for us. 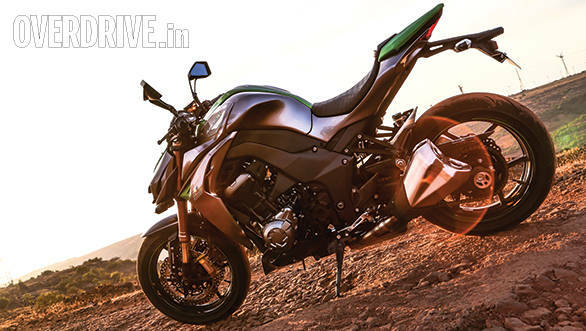 The smoother the road is the less effort it is and less busy the Z1000 seems. But to live with everyday, I worry that you might get so tired of the endless action that you might edge away from actually riding it swiftly often, choosing instead to trundle along at a less frantic clip. There isn't anything wrong with this approach. The Z1000 has relatively upright ergonomics and despite the sporty-stiff setup, there is enough low speed damping to absorb small bumps at city speeds without being untenably uncomfortable. But you can sense that the Z1000 would rather headbang than listen to lounge-blues. In the picture, always, is a lovely intake roar from that 1043cc, 142PS engine. That really is the issue with the Z1000 for me. It's a spectacular motorcycle to look at and it goes and handles with satisfyingly electric speed and reactions. If our roads were great, it would make a great daily bike though you'd have to add some sort of screen for highway work - anything past 140kmph you'll feel as an intense exhaustion in the neck and shoulders. But in our real world as it is today, the Z1000 is a beast. It's constantly found in the thin zone between naughty and panic when ridden hard and while the whole wheelie and wheelspin game is fun for short stints, this kind of madness on a daily basis will be hard to handle for everyone. I love it but I want it in short bursts of time rather than constantly. 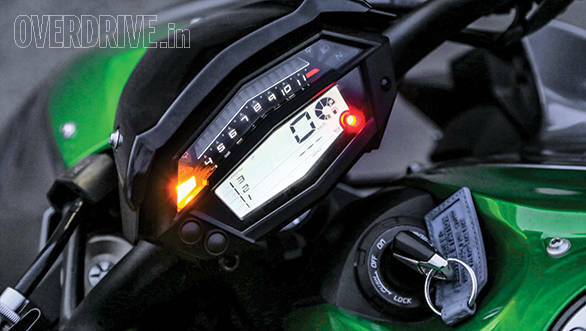 Kawasaki has priced the Z1000 at Rs 13.82 lakh on-road Pune which is a terrific bargain for this fast, this current and this accomplished a motorcycle. 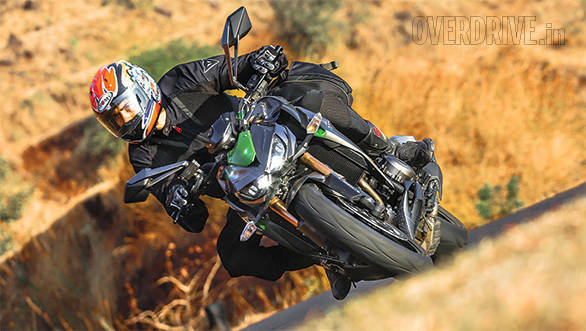 For the exact same money you can also have the Ninja 1000 which shares the engine but is a calmer, sweeter ride and has traction control to boot, and is probably easier to live with everyday. We rode both of these as well as the Kawasaki Z800 in the April to understand the difference between all the three Kawasakis from the perspective of living with these bikes daily. Pick up the April issue of OVERDRIVE on the stands, or on your tablet to read the full story.